Because why make your car feel left out when it comes to family dinners? In Singapore, the city life can be very glamorous for billionaires who feel a strong sense of attachment for their prized possessions, they no longer have to park their Lamborghinis downstairs, Instead, they can now have them elevated up to their living room. You ask why? Well, simply because you and your Lamborghini shouldn't feel distraught by daily separation, instead, you and your wheels can sit comfortably in your home and be one big happy family. 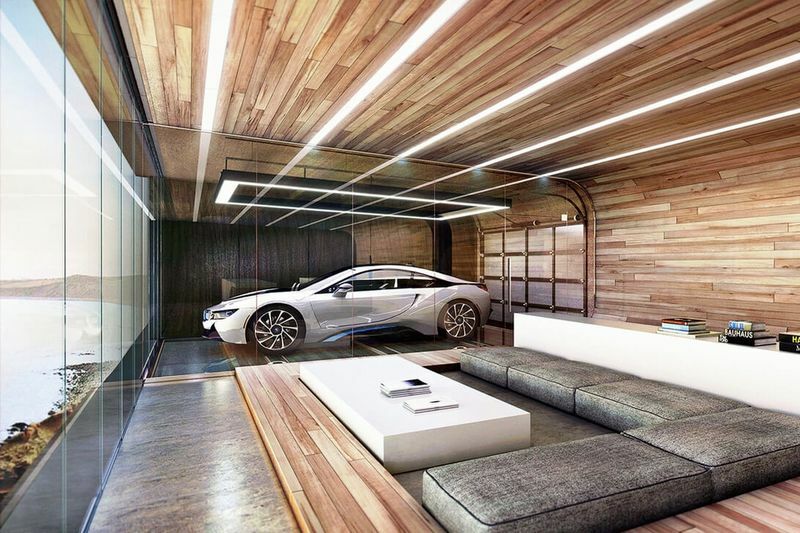 Wealthy owners use a thumb sensor to activate the biometric elevator in the Hamilton Parks apartment complex, to elevate their supercar up the 30-story building to your floor and stands behind glass ready for its next drive. The design was actually an innovative solution to the limited parking availability throughout the city and seen as though Singapore is home to more Maserati's, Ferrari's and Lombo's per capita than anywhere else in the world, it makes complete sense to give them special treatment. And if you own these fancy cars I'm sure you have between £6 and £15 million to get one of these impressive living room-garages.